Operating the business for over 15 years, we have the experience, knowledge, and expertise to handle your Lake Management needs. It is owned by Arn Eccles, and operates out of southern Johnson County, KS. Our customer base extends out to several hours away, although most of our work is done within a couple hours drive. Arn holds B.S. and M.S. degrees in Biology from Emporia State University, specializing in Fisheries and Wildlife Management. While in college, he worked for Kansas Dept. of Wildlife & Parks, U.S. Army Corps of Engineers, and U.S. Fish & Wildlife Service. He then spent time in the private sector as a Naturalist and Lake Manager. After he and his wife started a family, they agreed to start a dream of his to start up his own business. After starting out in mostly Wildlife Management, he settled into Lake Management, where he has been for nearly 15 years. This diverse background gives him an extra edge and perspective in dealing with lake management issues that most others do not have. 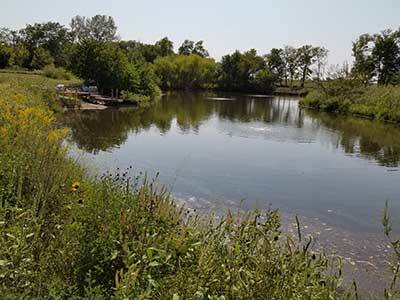 For years, managing lakes with only a narrow approach had been the status quo. Arn has found that he has far better success after stepping back and looking at the bigger picture around each lake, noticing situations that others overlook. 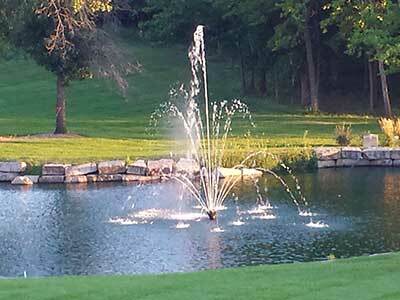 Finding out why a pond or lake is having the issues is a necessary place to start. He can then work the problem to find solutions to turn things back around. In addition to his classroom studies, he grew up learning in the best classroom, the great outdoors; gaining knowledge of the plants and animals of Eastern Kansas. As a youth, his love of hunting and fishing helped him better understand how species flourish within their habitats. 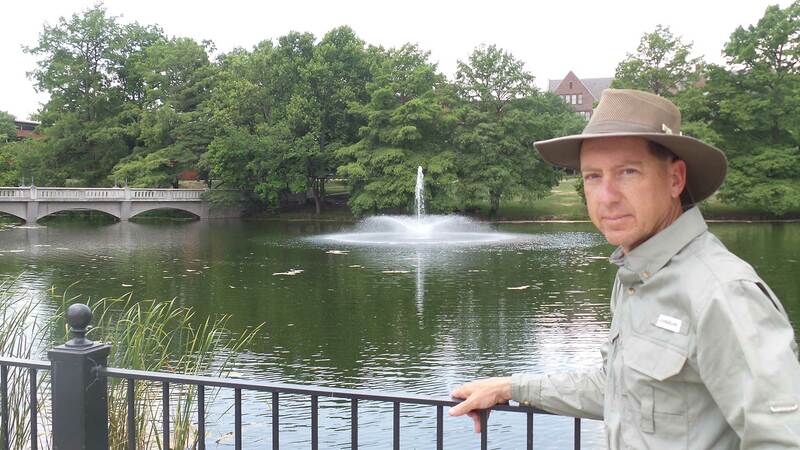 After graduation from college and moving to Johnson County, his vast knowledge also helped him to quickly understand how fish and wildlife exist, adapt, and thrive in urban environments. This wide understanding of environments has allowed him to solve problems for his customers in urban, suburban, and rural areas. His approach is to find solutions by looking at the big picture and finding ways to correct problems. 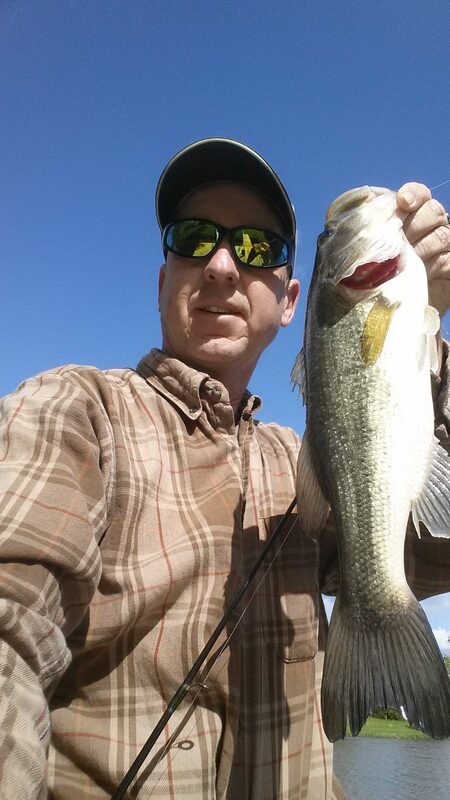 Arn still enjoys fishing and hunting when he can, but takes a lot of pride in his customers that have seen their fishing ponds and lakes bounce back into high-quality fisheries under his management. He also enjoys spending time volunteering with 4-H youth, giving back his knowledge and experience. He also volunteers with other family and adult programs.